Hope everyone had a good weekend! I had to work on Saturday in preparation for NeoCon (a big trade show going on where I work) so my weekend felt extra short :( We made the most of what was left of it on Sunday by going for a long run, checking out the Old Town Art Fair, grocery shopping, doing laundry and lots of relaxing at home. Now let the craziness of NeoCon week begin! It was So. Hot. this weekend. 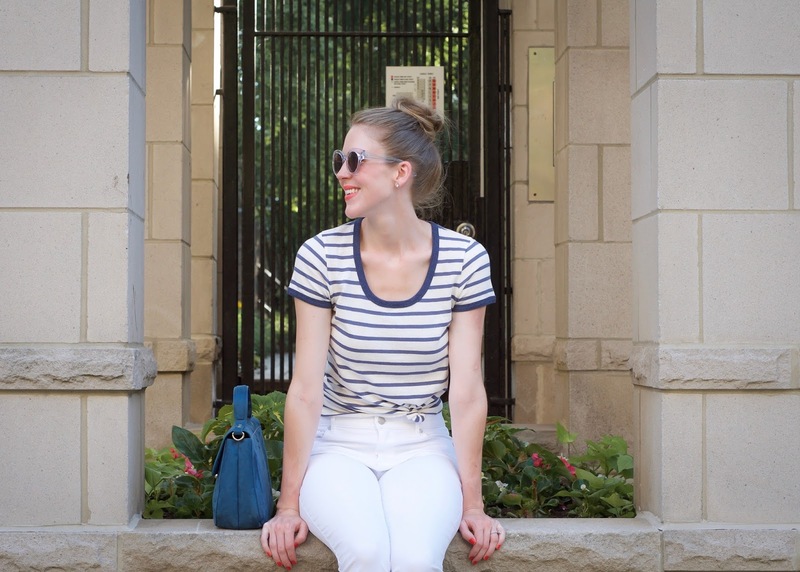 Summery whites, breezy cotton tees and top knots were in order! 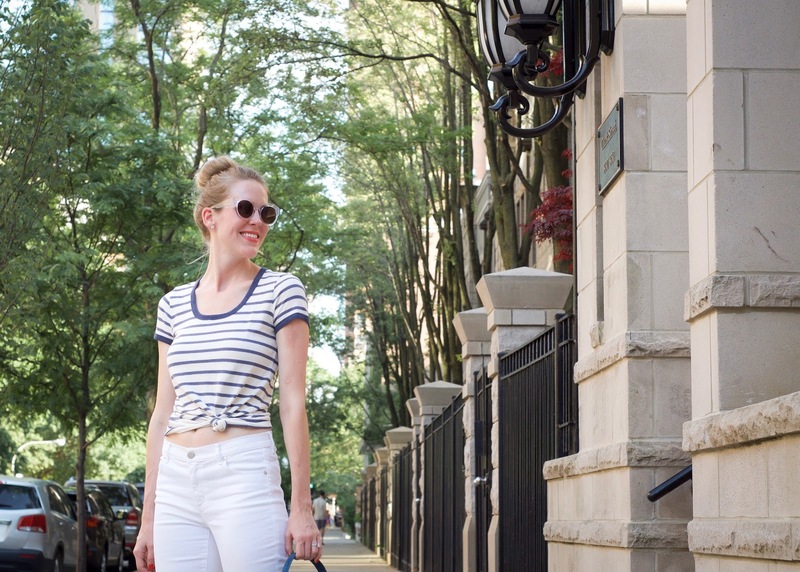 I never met a striped tee I didn't like, but I particularly loved the wide neckline and the navy banding on the edges of this one from Madewell (I also just picked up this and this one). I love it paired with these crisp white cropped jeans, but plan to wear it with my daisy dukes soon! 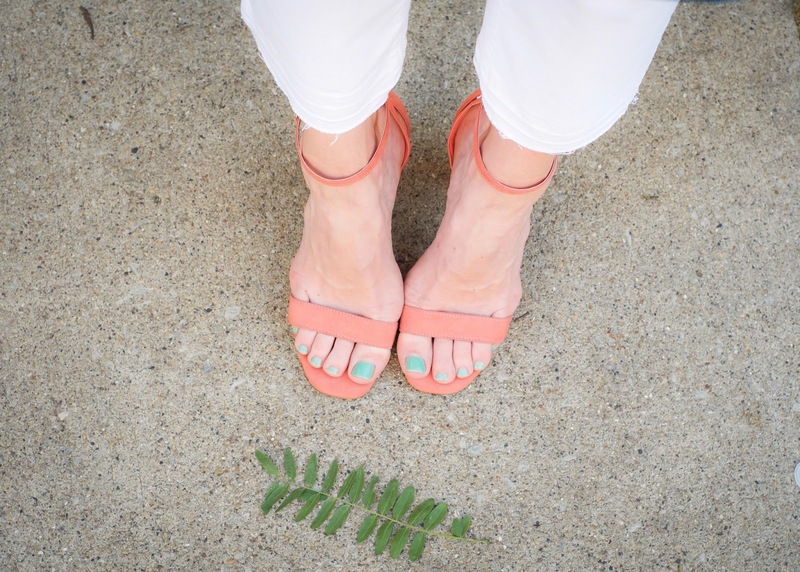 You can also shop the post by clicking the images below!